My richest gain I count but loss…these words swirl around my heart today…all the vain things that charm me most… I sacrifice! They thought it was the end of everything, every hope, every promise, and every word He spoke to them. They bowed their heads in sorrow, but God was about to roll up His sleeves and astronomically reveal the grandeur of His great love for us. Time stood still, but not Jesus. He was busy disarming the powers of darkness and getting ready to reveal who He said He was. Then He came back… He demonstrated His awesome love for us on the Cross. He stayed there because of love… If you don’t know His great love for you, I hope that this Easter, you will open your heart to really say yes to His invitation to know Him…and to experience His incredible new life in you. 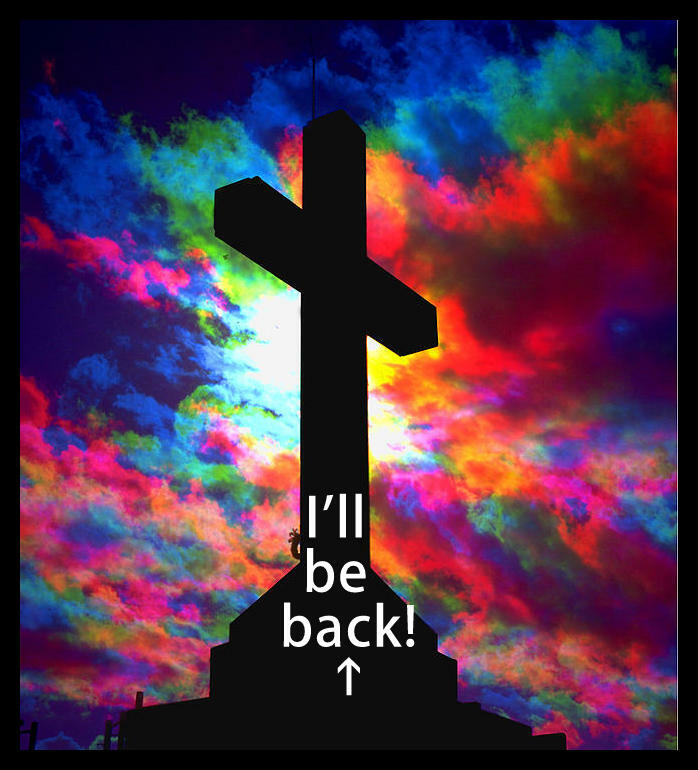 When Jesus died He screamed though nail-pierced hands “I Will Be Back!”, to a lost and confused world. We can barely comprehend this amazing love, for we have no other love to compare it to. He did come back, and all He said is true. Right now He waits for you to just believe…and everything will change. Do it now, it’s the perfect time.